James Taylor is a legend when it comes to riding extra large surf. From Sunset Reef and Dungeons, to Mavericks & Waimea Bay, James has chased, ridden and “Left his mark” on monster surf around the world. Having the right equipment is only part of the process when tackling waves that can tear you apart. The right attitude, training and ability to push the limits are all key ingredients to riding mountains. This Signature product is a tribute and dedicated to James as he continues to push the big wave frontier. SKU: SU-042. Category: SURF ACCESSORIES. Tag: JAMES TAILOR LEASH. This Signature product is a tribute and dedicated to legendary big wave surfer James Taylor as he continues to push the big wave frontier. Solid Urethane cord. Precision molded fittings. Quick release calf cuff Double swivels. Protective rail saver. Ultra comfort padding. 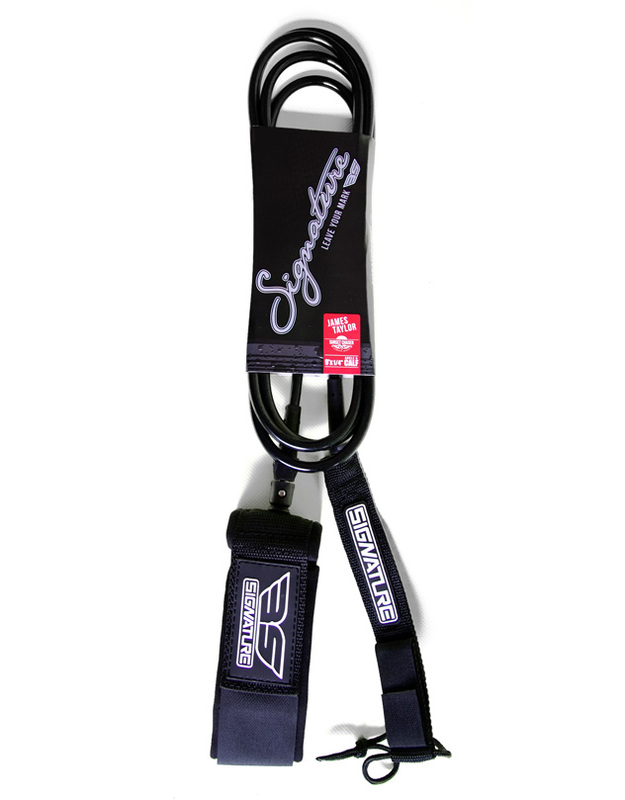 Can be used as Calf or Ankle leash.